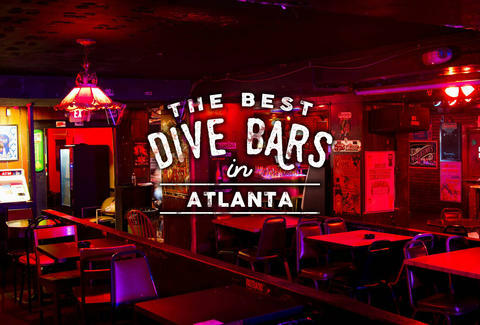 Fancy food and expensive drinks are pretty nice, sure -- but sometimes, the only cure for what ails you is dark, dank, and a little dirty... We’re talking dive bars, and ATL has some of the finest in the country. With cheap drinks, eats, and friendly, unpretentious staff, these dives are sure to create some of the best nights you won’t be able to remember... but hey, isn’t that what Instagram is for? 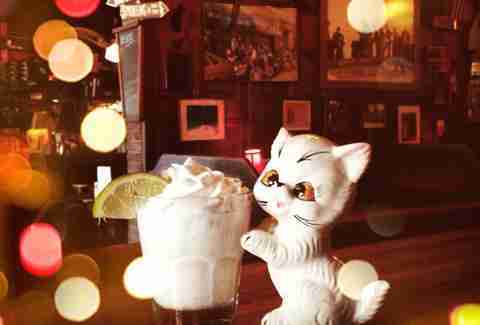 Add these to your bar-hopping bucket list and don’t forget some dollars for the jukebox. Kitchy in both decor and menu offerings (sharks on the wall and homemade pork rinds), Euclid Avenue Yacht Club has been a local favorite for more than 25 years. They have the requisite cheap drinks, and you can still smoke in here. Also, their menu offerings like Brunswick stew are a nice consolation prize if you don’t find someone to make out with at the end of the night. Aside from the eclectic mix of people (professionals, Agnes Scott students, bikers, and 20-somethings), the best thing about Trackside Tavern is the booze; they have an excellent selection of tap beers alongside a solid variety of bottles, and their staff is friendly, knowledgeable, and happy to mix and pour you pretty much anything. They also have air hockey, pool tables, and darts for any booze-fuelled competition you wish you were good at. Smoky, dingy, and fun, Northside Tavern is a long-existing hole in the wall that is incongruous among the recent rash of upscale development spots on the Westside. 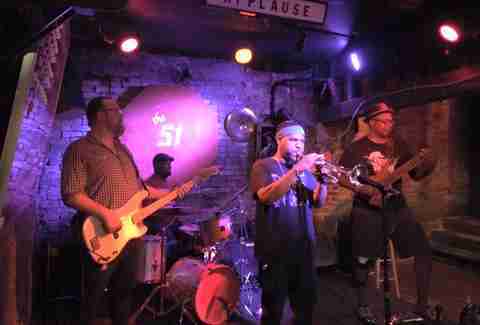 To its favor, this blue collar spot also has live blues music, dancing, strong drinks, and fantastic opportunities for people watching. 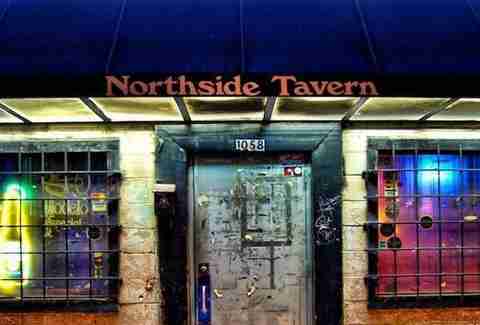 Pro tip: use the bathroom before you go; Northside Tavern’s is notoriously inhospitable. In business since the 1940s, this is the place to come whether you’re looking to tie on one or looking for a great hangover meal. They also offer what many consider the best specials in the city -- deals like $3.50 pitchers of PBR on Tuesdays, and delicious $3.00 burgers, wings, and more. Tucked in comfortably next to a cool old theatre, the Righteous Room is intimate and chill. Low lights and jukebox music help its ambience, and it boasts a solid beer selection and a versatile menu with some of the city’s best and most inventive bar fare (we especially like their turkey melt wrapped in pillowy naan). One of the city’s oldest and most renowned dive bars, the Highlander is known for not only having great bar food, but great food, period. That definitely had something to do with them getting recognized on the Food Network. 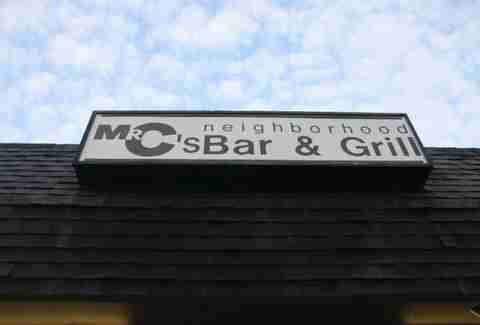 Get here for the bites and then stay to wash it all down with one or more of their notoriously strong drinks. 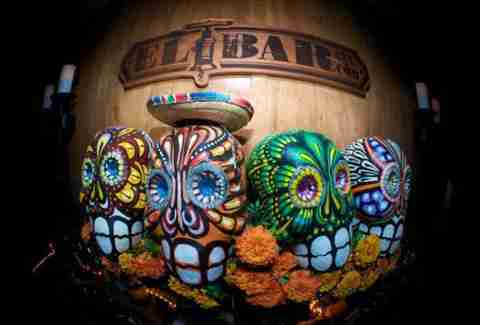 Underneath El Azteca, you'll find El Bar: a tiny, booze-fueled room full of people who like to drink and dance. With DJs spinning records, the music can range from decent to incredible, which is admittedly a risk. However, with the super low or sometimes non-existent cover, it's well worth it to pop in. Looking for a true, come as you are spot? You found it. The Rusty Nail is dark and smoky, with real food made from scratch, cheap beer, and a great jukebox -- all in a comfortable, welcoming environment. With super cheap drinks, seriously delicious sandwiches, and a basement that regularly hosts live music, this cozy hole-in-the-wall is arguably the most bang-for-your-buck dive in the city. They’ve got a substantial beer list (with everything from high-end Belgians to king sized PBRs) and smoked chicken wings that fall right off the bone. Also, the wildly popular karaoke and trivia have only gotten better since the Local became a smoke-free zone. This refreshing hidden gem has a fabulous jukebox, a great staff, and clientele that’s legitimately friendly and conversational, so you better have something to talk about. 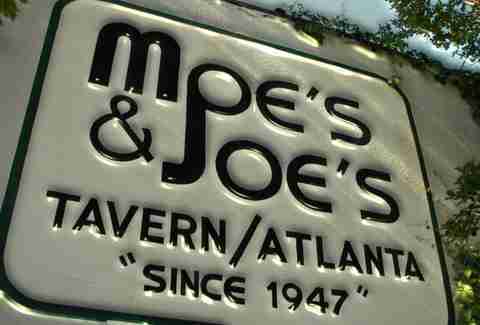 They also have great drink prices and tasty food (try the fried okra and the wings). 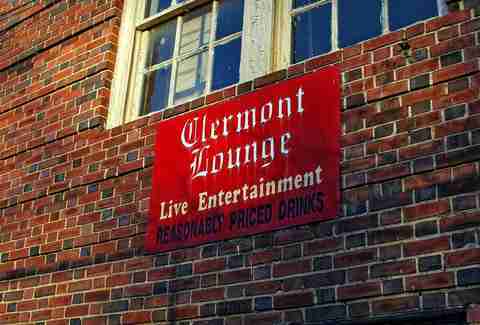 The world-renowned Clermont Lounge manages to do the impossible: it’s so iconic out of towners must see it, and yet so fantastic it’s always full of regulars. And with fantastically atypical strippers (you know, the kind that crush beer cans with their breasts), cheap drinks, karaoke, and more, it’s no wonder it’s become such an ATL staple. 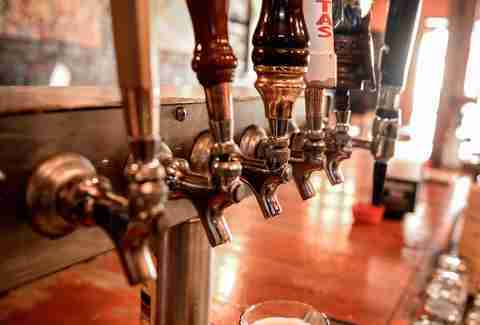 Brook Bolen thinks there's nothing better than a good dive bar. Follow her @BrookBolen for more insight into ATL's darkest watering holes.